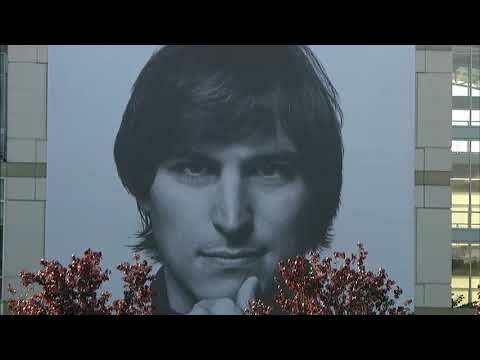 Apple co-founder Steve Jobs died at around 3:00 p.m. Pacific Time on Wednesday October 5, 2011. He was at his Palo Alto home. The Santa Clara County Public Health Department recorded the immediate cause of death as respiratory arrest but that "metastatic pancreas neuroendocrine tutor" was the underlying cause. Later that day, his wife Laureen Powell Jobs issued a statement. Jobs was 56 years old and had been being treated for this rare form of pancreatic cancer since he was 49. Consequently he had been conscious of his health when giving a commencement speech at Stanford University in 2005. He chose to speak about mortality. At that point, he had already had a successful operation to remove a tumor but in 2009 he took an extended leave of absence from Apple to undergo further treatment. He had a liver transplant and at the September 2009 Apple event thanked his donor. "I now have the liver of a mid-20s person who died in a car crash and was generous enough to donate their organs," said Jobs. "I am alive because of their generosity." We now know that Jobs had refused Tim Cook's offer of a liver transplant but in this same speech he thanked Cook and others for how they "rose to the occasion". Cook would again take over while Jobs went on another medical leave of absence in January 2011. 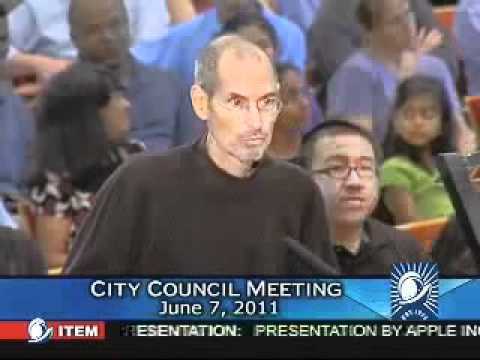 Jobs's final public appearance was on June 7, 2011, representing Apple at a Cupertino county meeting where he spoke about plans to build Apple Park. Just under three months later on August 24, 2011, Jobs formally stepped down as Apple CEO. On his last day he reportedly chaired a board meeting, tried to fool a pre-release version of Siri with questions, and then rode home with Apple attorney George Riley. That evening, he told biographer Walter Isaacson that "I've had a very lucky career, a very lucky life. I've done all that I can do." AppleInsider managing editor at the time was Neil Hughes. He wrote Steve Jobs's obituary for the site on that day. "I was at the gym, and I got a bunch of calls. The news broke late and I rushed home to cover it. For me it was a story -- I wasn't really emotional at the time, I was just in work mode, covering it as it needed to be covered," he said. "From a news perspective, I kind of knew it was coming, but it was still unexpected. You just assume a guy like that will live forever." Journalists write obituaries regularly and you don't put your personal reaction into these pieces. After the work is done, though, things are different. "I never realized I had a 'relationship' with Steve until later," Hughes said. "There was a lawsuit that involved emails between Eddy Cue and Steve. Something about iBooks. And Steve read one of my stories and actually learned something about his own company from it. The truth is Apple always paid attention, including Steve." Writer Bob LeVitus, who Steve Jobs would occasionally quote on slides in keynote presentations, says now that even though his death had been expected, it was upsetting. "I was really sad when he died. It was like the end of an era," he remembers. "He was one of those once in a generation guys," says LeVitus. "He was brilliant. Apple isn't going to be the same after Steve. I think Tim Cook tries really hard to keep the spirit of Apple alive and the way Steve would've wanted it. [However] as the company gets bigger and bigger it gets harder and harder to stay true to doing everything excellently." "I don't know what the next big thing is but I don't know that Apple will hit on it without Steve," continues LeVitus. "Maybe. There's so many smart people at Apple that I'm sure something good will come out of it but Steve was the one that said let's build an MP3 player fo real people who are not geeks. And let's build a phone that actually is smart." As news of Jobs's death broke, friends, colleagues and former rivals spoke about him. Microsoft founder Bill Gates said: "The world rarely sees someone who has had the profound impact Steve has had, the effects of which will be felt for many generations to come. For those of us lucky enough to get to work with him, it's been an insanely great honor. I will miss Steve immensely." On October 19, 2011, Apple held a memorial service for Jobs. It was initially a private event for employees and live-streamed only to Apple Stores around the world. Around a week later, Apple released the video publicly. That video is no longer available on Apple's site but a memorial page is. You can read a selection of people's memories about Steve Jobs and still contribute your own. I remember that day, I didn't find out from the media but from a friend of mine messaging me. Felt a bit hollowed out for a while. "Steve showed me-- and all of us-- what it means to serve humanity." And that is the core of what made him so great. It may be the core of every great man: Serving a purpose larger than himself. 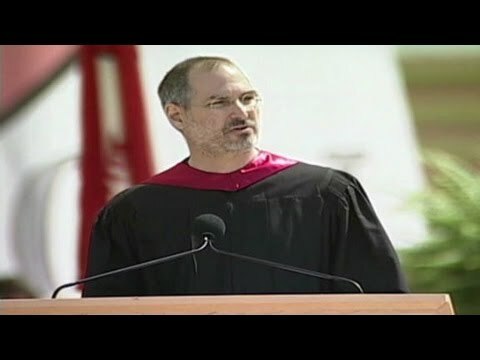 His Stanford speech really made me see the world in a better way. I wish that he had lived to see the Apple Watch & see it help save lives . Whenever I spend a few days in a row unhappy about what I'm doing, I think about that speech and let it inspire me. I'll never forget the day he held up the iPhone for the first time and showed it to us all. I though to myself, "There it is. The game changer." I've been an Apple guy since I was in high school tooling around with an Apple II. I just miss this guy and his vision (wrote on a MacBook Pro). RIP Steve Jobs. And I’ll never forget or forgive the trolls on C|net who viciously attacked and vilified Jobs the day he died. There were efforts to organize trips to urinate and defecate on his grave. It was the most vile thing I’d ever read in my life. I pleaded with C|net to delete the most vicious and cruel of those posts to no avail. Those posts are part of the reason I have no tolerance for Android sycophants or Apple haters, no matter their motives. It has gotten me shadow banned on a couple of sites but I don’t care. I will respond tp them just as nastily as they post. It's nearly incomprehensible to me how one man and his company could have so much positive influence on the productivity, creativity, and enjoyment of so many millions of lives. I was around when Apple was the outcast. Few people wanted their quirky products regardless of how well they worked, how reliable they were, or how simple they were to use. Apple became a part of my life about a decade ago when I purchased my first Mac and iPhone and sold my last Windows-based PC and flip phone. I've since had several Apple computers, tablets, phones, and other devices and accessories. My Apple Watch and iPhone are always present every where I go. Most of the movies and television shows I watch come from one of my Apple TV devices. Most of the music I listen to comes my HomePods. In only ten years, Apple has grown from a curiosity to a constant part of my daily life. We need the next Steve Jobs to pick up and carry things forward instead of repacking what we already have.